ATLANTA – August 15, 2016 – The Museum of Design Atlanta (MODA) knows that the next generation will be charged with solving some of the world’s biggest problems. In order to help tomorrow’s designers become problem solvers today, MODA has announced its groundbreaking free membership program for kids ages 0 to 17. Kids who join Design Club will be joining a network of over 1,500 young designers, most of whom are in the metro-Atlanta area, but some of whom live as far away as Chicago and Rome, Italy! MODA’s Design Club offers each member and one accompanying adult unlimited free admission to the museum’s exhibitions, newsletters with unique design challenges, and invitations to Design Club activities that empower youth to use design and design thinking to face real world challenges they encounter in everyday life. To make it official, Design Club members also receive personalized membership cards to use at the front desk. “We believe that kids can change the world,” said MODA executive director Laura Flusche. “They see the world through fresh eyes, they love wacky ideas, and they are brave enough to think that anything is possible.” Design Club gives children access to exhibitions and programs with the aim of helping them fall in love with the problem-solving power of design. In order to support this revolutionary program, MODA raised funds through the City of Atlanta Office of Cultural Affairs Power2Give Program in early 2016, asking individual and corporate donors to make gifts that were matched by the City of Atlanta. And, in May, MODA joined forces with HOW Design Live to raise funds at their annual conference which was held in Atlanta this year. 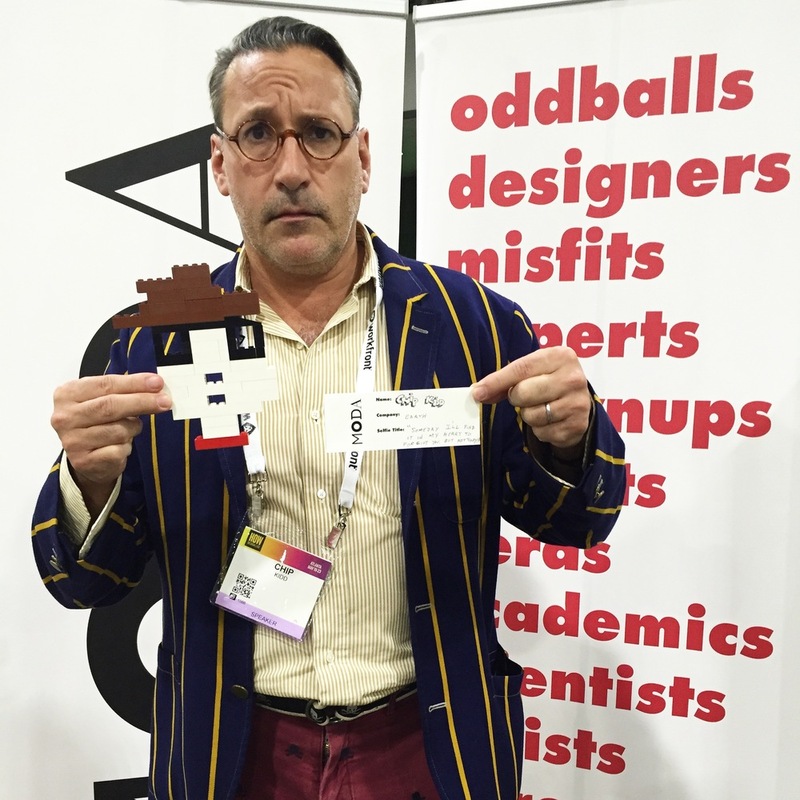 At MODA’s How Design Live booth – marked by colorful towers that are part of the playful Design Club brand created by Atlanta firms Primal Screen and Son & Sons – designers from across the globe made donations in support of Design Club and were invited to participate in the “LEGO Selfie Challenge” by building representations of themselves using only the iconic, colorful blocks as their medium. Participants included some of the design world’s superstars, like Steff Geissbuhler, Ken Carbone, Brian Singer, and Chip Kidd The Atlanta design community also backed the effort, using MODA’s rally cry, “We Want More Design, Atlanta,” to encourage peers from across the world to support this important initiative. Youth can sign up to become Design Club members by visiting MODA. Registration is only available in person, but more information can be found at http://www.museumofdesign.org/design-club.